Mendini by Cecilio flutes are one of best selling, teachers approved flutes. It features flawless finish, closed hole, undercut beveled embouchure, with high quality double bladder pads. 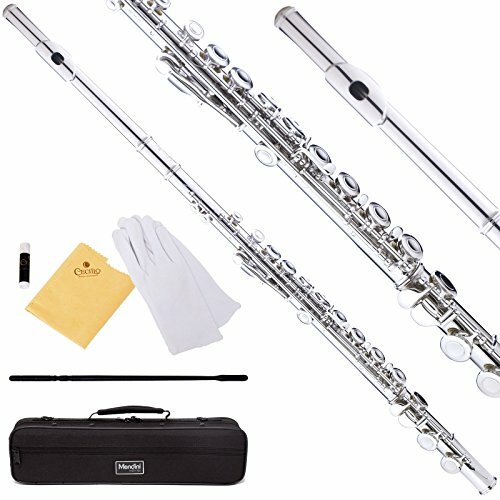 This flute package includes pro-deluxe durable plush-lined nylon covered lightweight hard case with shoulder strap & zipper pocket, soft cleaning cloth, cleaning rod, joint grease, and a pair of white gloves. Buy with confidence as it comes with a 1- year warranty against any manufacturer's defects. If you have any questions about this product by Mendini by Cecilio, contact us by completing and submitting the form below. If you are looking for a specif part number, please include it with your message.